Our local paved runway is clear of snow. I don't have a nice grass area to fly from so wanted to add wheels to my Explorer. Considering something like a penguin where the wheels are half buried in the body or at least mounted so the axle/center of the wheel is at the bottom of the plane. Figure I can put a solid axle on the back and add a wheel outside of the fuselage on each side and inset one front wheel on the centerline of the plane. Anyone added wheels to an Explorer? I haven't put wheels on an explorer, but I imagine it would work fine as long as your wing has enough incidence. The problem you may strike is that if you do not have sufficient ground clearance to allow the plane to rotate on take off you will require extremely long take off runs to get airborne! Mine required almost 50 metres to get airborne and almost full flying speed. Some take offs were shorter but it was the result of hitting a bump and having the plane bounce into the air! Guessing this is to counteract drag from the wheels? Noticed this with snow take offs this winter. Harder to rotate for sure. What if I put the wheels more towards the back of the fuselage than you have done? Move the pivot point back. The way you have them attached is exactly how I envisioned doing it. I'd like to bury a wheel in the nose too like on my penguin. I have some 2 and 3 inch wheels. What size are the ones you used? Love the paint on your plane, BTW. Some take offs were shorter but it was the result of hitting a bump and having the plane bounce into the air! I once flew in a Beaver float plane at the end of an inlet with an outflow wind. Due to being totally overloaded, we couldn't taxi out far enough to turn back into the wind before dark. So the pilot turned it downwind and pinned it. Floats were underwater when we started. Eventually we started planing. Once the pilot figured we were close, he started looking for waves to "bump" us into the air. Took several tries but we made it. Our other option was leaving one or two soaking wet guys at the end of a desolate inlet for the night. No way to even light a fire. Not really an option. The pilot wasn't much into a sleep over either in his tennis shoes and t-shirt. Actually going off what Hai lee said, you can shorten your take off run by getting more lift through increasing wing incidence. You could do this by going with a taildragger setup and using a similar landing gear setup found on the FT legacy. Not what I was envisioning but when I think about it, probably a simpler solution. Would increase wing incidence during take off and only require 2 wheels with less fuselage butchery too add a single nose wheel. Mine works pretty good from smooth surface. In grass it wants to nose over on take offs and landings in grass due to the bumps and high thrust line. Angle the struts so your wheel are way closer to the nose and your problem is solved. 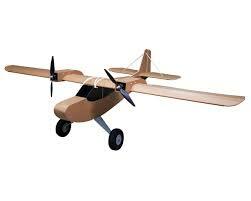 @jross You can use a plywood plate under the fuselage which attaches the wheels and even a nose wheel if required. 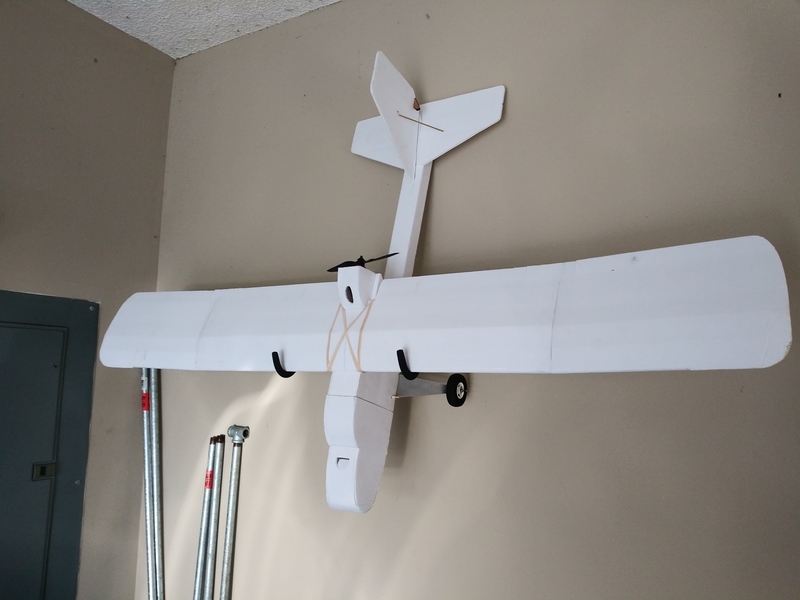 The plywood plate could be taped into position for take off and landing and simply removes if you find the ground is too rough for landing gear to be used. Just make sure that you have about 3 inches clearance under the fuselage when the plane is resting on the landing gear. this is to ensure that you have sufficient for rotation. My version used 3 inch wheels and so only had 1 1/2 inches of clearance and getting it airborne was a drama!